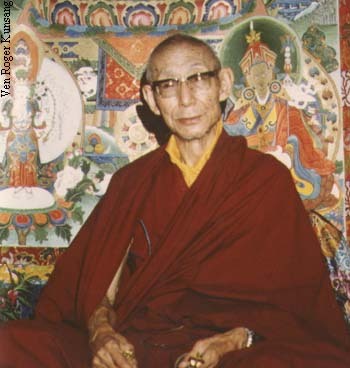 NKTites rave about Kelsang Gyatso's teacher, Trijang (1900-1981). They boast how 'realized' he was and pretend to hang on his every word. "During those years I...had the opportunity to meet many important personages, among them Kyabje Trijang Rinpoche, the Junior Tutor of His Holiness the Dalai Lama. Trijang Rinpoche was in many ways one of the most important figures of his time. In the fifties he was the power behind His Holiness, a pillar of strength in the difficult and troubled times for the Tibetan people. It was also Trijang Rinpoche who taught His Holiness the Dalai Lama the concepts of Buddhism as well as the understanding of politics and mastering social skills." Nevertheless, NKTites conveniently ignore that Trijang turned down the volume of the sectarianism of his teacher, Pabongkha, who pushed Shugden worship after being told to do so by Shugden himself (later, Pabongkha suspended his Shugden politics at the request of the 13th Dalai Lama, only to bring it back in cowardly and disrespectful manner when the 13th Dalai Lama died...out of sight, out of mind). Even more amazingly, NKTites disregard the praise that Trijang had for the 14th and current Dalai Lama and call the Dalai Lama an evil liar who stands no chance of survival against Shugden, NKT's vengeful anger god. You are the source of all benefit and happiness, without exception. May you stay immovable until Samsara becomes exhausted." Notably, Trijang refers to the Dalai Lama as Avalokiteshvara, the Buddha of Compassion. 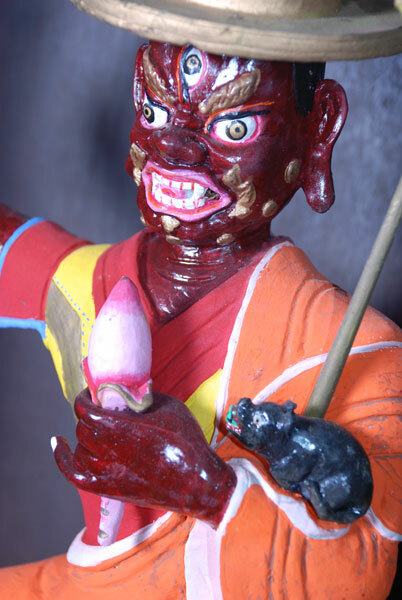 Revealingly, NKTites despise the Dalai Lama, a human emanation of Avalokiteshvara. "Throughout your life you have pretended to be a Buddhist holy being giving Buddhist teachings that you have stolen from Trijang Rinpoche. By doing this, you have cheated people throughout the world. In summary, it is clear that your real nature is cruel and very evil." Such self-satisfying vitriol is a byproduct of NKT's worship of Shugden anger. Anger breeds anger. Apparently, Shugden is impotent. The Dalai Lama has urged Tibetans not to follow Shugden militancy for over 30 years and is now 74 years old. Hundreds of millions of Buddhists do not worship Shugden. 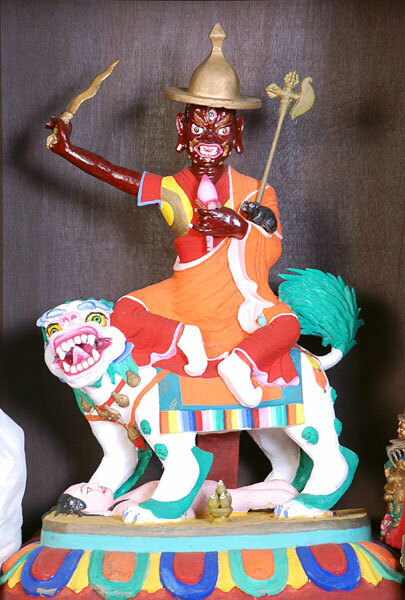 Of those few that propitiate (appease, control) this anger god, only few sell Shugden as a Buddha, which is almost exclusively an NKT invention and cause celebre used by NKT to demean others. 5] As per the gist of the intention of His Holiness the Dalai Lama, International Genden council, and the resolutions of Three Great Seats regarding the evil spirit Dholgyal (Shugden), monasteries including the Three Great Seats are heading toward positive direction, cherishing it ones interest. 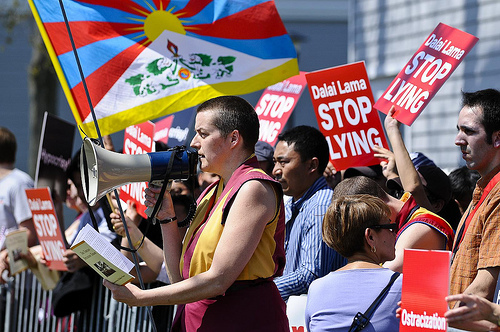 However [we] will discuss what is the best to carry out concerning the activity on the whole and the impairment imposed by Dholgya adherents to Tibetan religion and politics, as well as their various actions of defamation carried out against His Holiness the Dalai Lama. A) For the sake of Tibetan religion and politics, His Holiness the Dalai Lama, the overall head of all Buddhist Traditions on this earth, has given admonition not to worship the spirit Dholgyal. For the leaders who are High Lamas, Abbots, Tulkus, representatives, extend fully support on 10th meeting. Furthermore, through this meeting, they appreciates and praise the monks of Gelugpa monasteries for picking the vote-stick accorded the Vinaya and completely relinquishing the religious and material ties with Dholgyal worshippers. B) If you take refugee in the worldly god and ghost, particularly the evil spirit, it contradicts the taking-refugee which is the gateway to Buddhism. As such, this religious committee will make clear that Dholgyal worshippers, be it a private or organization, will not be accepted in any sect of Tibet. C) Tibetan Buddhist Sects will examine and file in chronological order the bans imposed on the nature, function and cause of Dholgyal by highly beings of Tibetan Traditions for last 370 years and the detrimental to Tibetan religio-politics as the result of worshipping the evil spirit Dholgyal. This is published through various channels such as Internet and foreign languages, and educates Tibetans and foreigners with explanation rich with many reasons. 8 Tsering Phuntsok, Minister of Dept. of Culture and Religion, (Tibetan government in exile.)"